MILWAUKEE – (September 25, 2018) – Johnson Controls has introduced its new commercial-grade (EN Grade 3) security system with built-in PowerG long range wireless, 128-bit encryption technology from Tyco. Expected to launch at the end of October, the DSC PowerSeries Pro 1.0 offers cyber protection features and long-range encrypted wireless communications. It is the first commercial intrusion security panel that can handle large commercial installations while eliminating the need for wires on sensors or keypads. "An industry-wide concern is how long it can take to install commercial security systems – too much wiring, multiple repeaters due to low device range and setup can be a hassle," said Jennifer Doctor, senior director of product management for Tyco intrusion solutions. "We addressed these concerns and designed the DSC PowerSeries Pro with growth opportunities in mind. Dealers are able to easily set up and provide scalable commercial installations without the need to run long wires. As a result, the savings on long wire runs can be substantial." 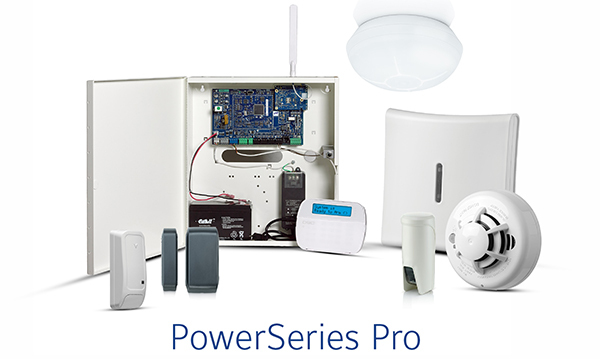 DSC PowerSeries Pro supports multiple third-party integrations, including Building Management Software (BMS) and video access solutions, offering a versatile platform for holistic commercial security. Its on-board Ethernet and modular communicators ensure long-lasting value. DSC PowerSeries Pro also offers a Corbus extender/power supply, support of new PG sensing technology and LTE communicators. To learn more about the DSC PowerSeries Pro 1.0, visit www.tycosecurityproducts.com.